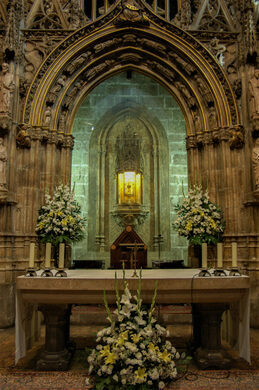 Of the many chalices in the running for the Holy Grail, this one in Valencia Cathedral sure looks the part. There are many, many contenders in the race for the title of Holy Grail: stone cups, bronze cups, cups of gold. 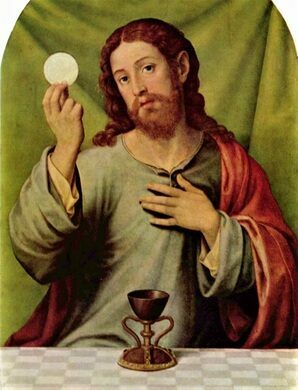 For some, the whole idea is just a tale told in medieval legend, but for many Christians the Holy Grail—or more accurately, the Holy Chalice—is the very cup used by Jesus during the Last Supper. If the cup is real, whether it still exists and where exactly it is located are two enduring questions with competing answers. 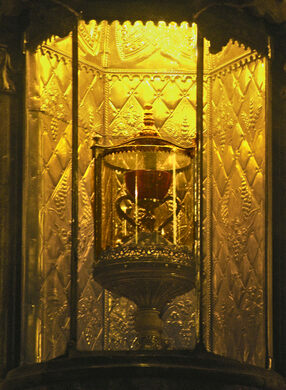 One longstanding claimant is the Holy Chalice of Valencia, stored in the golden “Chapel of the Holy Grail” and guarded behind glass in the city’s Gothic cathedral. 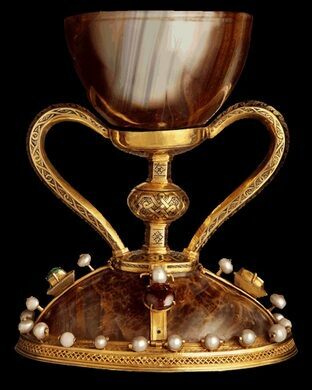 The Valencia Chalice doesn’t actually look like something from the first century, but the holy part is specifically the cup at the top, carved from a chocolatey-red agate; the base, handles, and jewels were added centuries later. 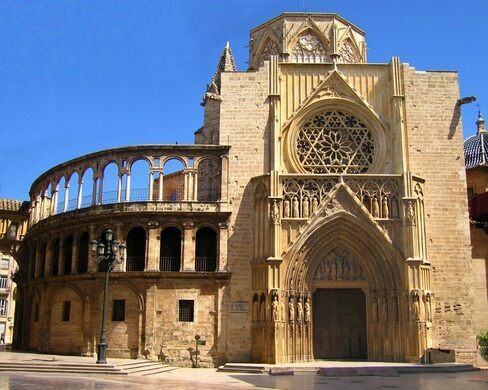 How it got to Spain, and into the hands of the cathedral, is a long and complicated history. 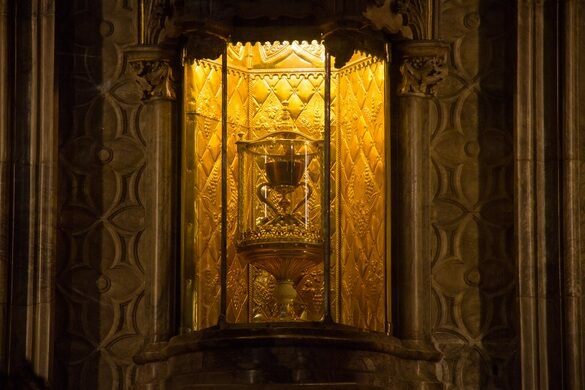 One theory is that the holy cup was taken by St. Peter to Rome, and some time later by a Vatican soldier to Spain, where it landed at Valencia Cathedral. The Holy Chalice of the Gospels got mixed up with medieval pursuits of a “Holy Grail” around the time of 13th century Arthurian legends. The “grail” was considered, in different tales, as either a bowl or dish, a platter, or sometimes even just a stone. It was said to have mystical powers of spiritual or material abundance, grace, or eternal youth, and stories of the grail were eventually grafted onto the goblet of the Bible. The Holy Chalice became the Holy Grail, and vice versa. 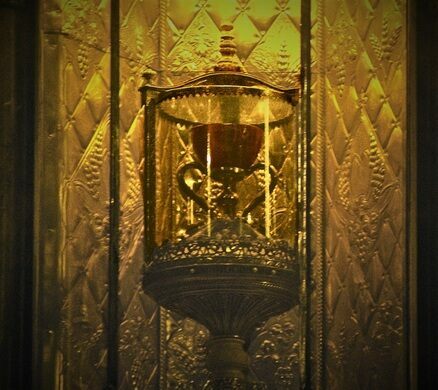 But even if challengers knock the Valencia Chalice out of the running as the elusive Holy Grail, it’s still a lovely treasure to see. 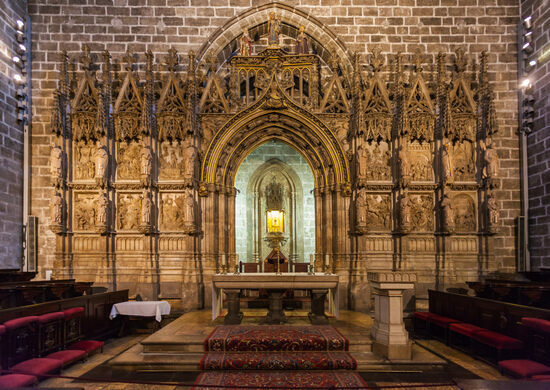 During regular hours you can see the Grail with admission to the Cathedral (entrance is 6 EUR), however, come after closing time and the Cathedral is often still opened but free; same on Sundays when it is open and free. Be careful not to walk around during Mass times, it´s a no-no.